I encountered this beautful scene on a trackless walk starting at the Fain and trekking over the hills east of Dundonnell, an area I had not explored before. 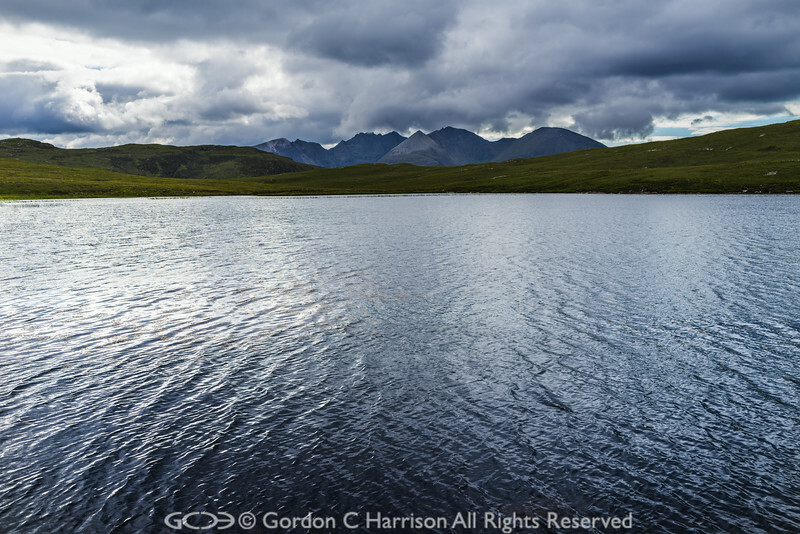 There are many lochs like this in this area with views of mountains all around just waiting on the right moment to be captured. From here the entire ridge of An Teallach can be seen, much of it a knife edge for those who enjoy exposure. I enjoy exposure, but only of the photographic variety!